Head over to Rock Point Beach, a lovely one kilometer sand and pebble beach where potential paleontologists will love examining for exposed fossils in the ancient coral reef embedded in a limestone shelf along the beach. There’s something for everyone at Rock Point, a local provincial park, with hiking trails and nature programming for children during the summer months, and a dog friendly beach for family pets. In fact, this beach is perfect for seasoned birders, as over 260 species of birds have been recorded in the park, and there is a bird banding station located directly within. Wondering how to get there? Why not take our scenic Cruise the Coast Route or the Grand River Route, which is perfect for motorcyclists who are looking for beautifully winding roads with mesmerizing landscapes. If you’re looking for somewhere to eat head to Debb’s Cuisine on Queen where they combine the freshest local ingredients, an inspired method, and particular presentation to create the perfect meal. When the day is done, head to Lalor Estate Inn and stroll around the entire acre of gardens and beautiful trees. If you’re looking for a more relaxed experience, check out Port Glasgow Beach, which recently received its Blue Flag status for a commitment to strict water quality and safety criteria. Located on the north shores of Lake Erie, Port Glasgow is a hidden gem that’s just far enough away from the hustle and bustle of larger beaches to create a private, tranquil atmosphere. This is the perfect family-friendly beach with its proximity to boat charters, a fishing pier, clean waters, and family-friendly events like the Port Glasgow Fish Fry and the annual Kids Fishing Derby. You can also check out the natural beauty and nearby trails that make Port Glasgow the perfect location to spot rare species of birds with the West Elgin Nature Club. If you work up a bit of an appetite, grab a bite at D&L Fish & Chips. 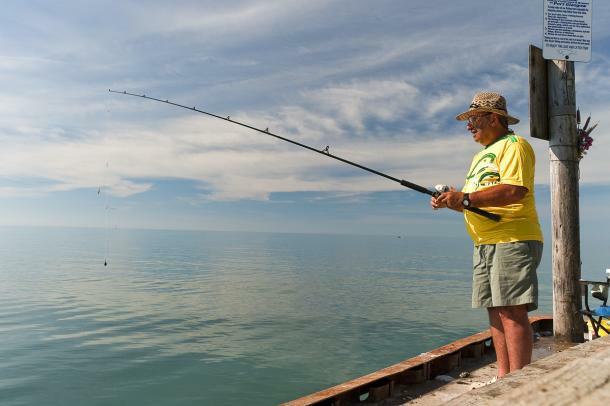 The beach at Erieau has some of the warmest waters on Lake Erie and some of the region’s best fishing at Erieau Marina. This family friendly beach is a place where kids can enjoy the warm water temperatures and great sand. The good on-shore winds makes Erieau the perfect destination for windsurfers and sailboaters, so head over to Erieau Wakeboard and Watersports School, which offers lessons in wakeboarding, waterskiing, kneeboarding, wakeskating, and wakesurfing. 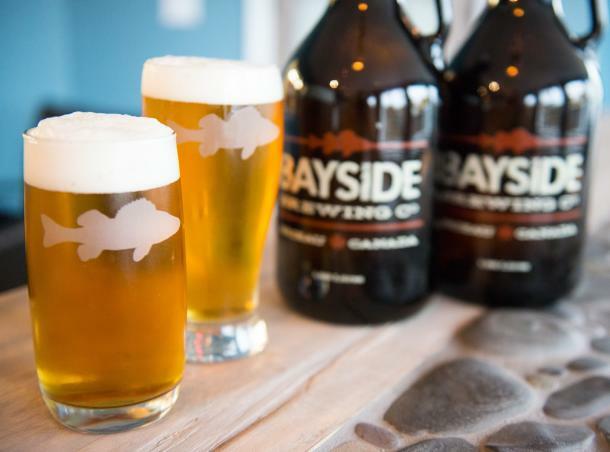 Or you can head into the quaint downtown area where you can find ice cream shops, stores, restaurants, and Bayside Brewing Co., the local microbrewery. Stay over at one of plenty campgrounds within an hour’s drive of the town, like the Bayview Bliss Cabins, or spend the night at Bye the Bay Bed & Breakfast, which offers a warm and friendly atmosphere in one of Ontario’s most beautiful and recreational areas. When you leave, take the Cruise the Coast Route, a 6 hour, 263 km ride along the scenic north shore of Lake Erie. 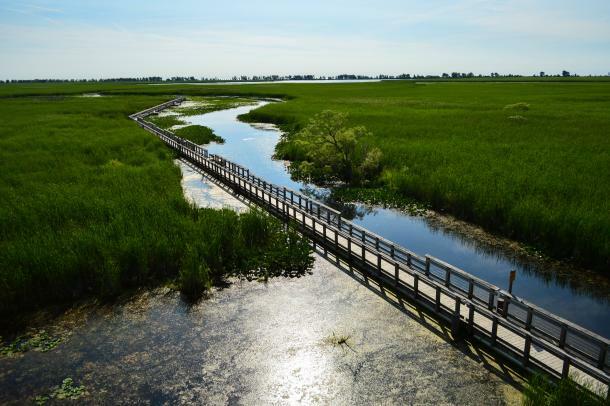 Continue along the Cruise the Coast Route to Point Pelee where you’ll find 20 km of smooth sand on the west and east sides of the peninsula, which makes it the longest continuous natural beach in Essex County. With the Canada 150 Discovery Pass, it’s free to enter this national park until the end of 2017. This world-renowned birding hub is known as the Warbler Capital of Canada with over 370 species of birds spotted at the park. Try out the Windsor Kingsville Essex Cycling Tour, which is a three day journey that takes you along scenic rural roads to the heart of Canada’s southernmost wine region. In fact, why not stop at some of the Essex County Wineries along the way? While you’re checking out Essex County, stop at Birdie’s Perch where you can get some of the best perch in Ontario from a unique 1965 Bristol Lodekka double-decker bus from the U.K. Then, bring your perch tacos back back to a cottage like Point Pelee Escape or Stone’s Throw Cottage for a nice evening in with the family. If you’re looking for a more traditional experience, head to one of the local favourites like Port Stanley or Port Dover where you can find delicious ice cream, scenic piers, and awesome watersports. In fact, both Port Stanley and Port Dover have mobility mats, making the beaches accessible for wheelchairs. Want to explore more beaches? Check out our beach cheat sheets to plan your Best Beach Vacation today!